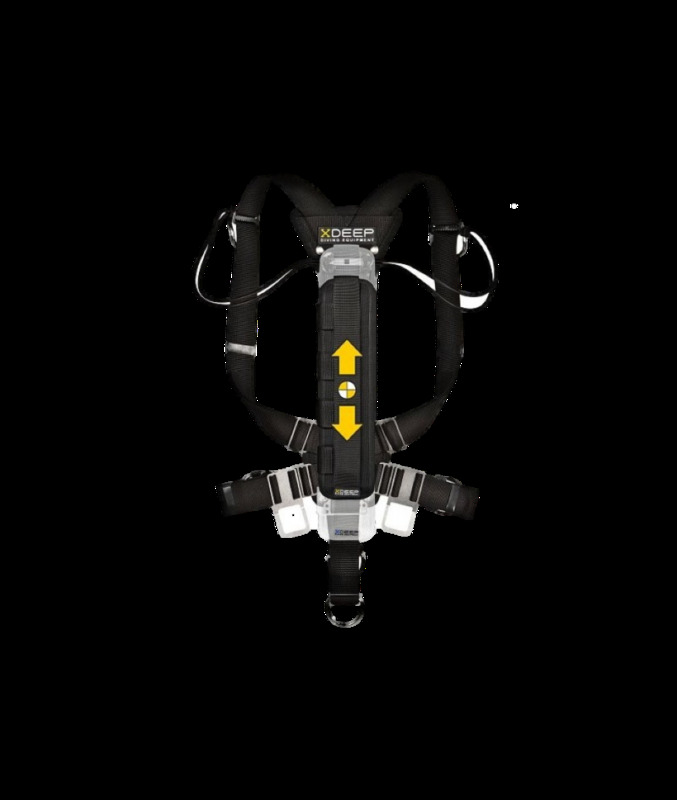 Since the junction points of the Stealth 2.0 harness were placed exactly within the natural axis of the body's rotation, the shoulder straps always have the correct length regardless of the position you take under the water. Simply put, nothing pulls nor restricts your freedom of movement. 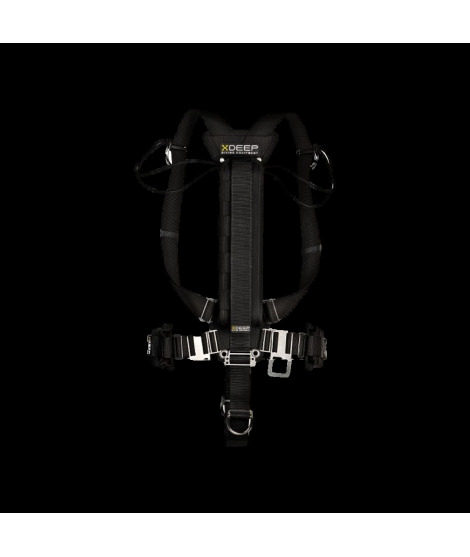 Moreover, the weight system was designed to provide maximum comfort – the central pocket can be moved relative to the lower junction point of the harness, and has no resistance when you turn your body around. 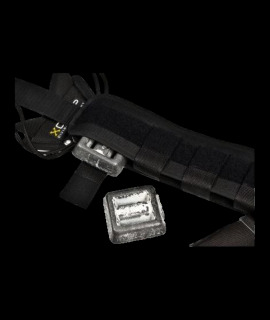 STEALTH 2.0 harness is so designed that each of the straps can be adjusted separately. 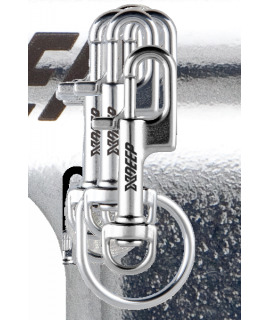 It is a huge advantage since in contrast with the side mount harness made of one piece of strap, a change in the length of shoulder straps does not cause the D-Rings to move to your waist strap. The adjustment of the harness is much quicker. If you are the instructor, you know how advantageous this is. Why waste precious time during the course? Various parts of the side mount harness require different level of stiffness of the webbing. 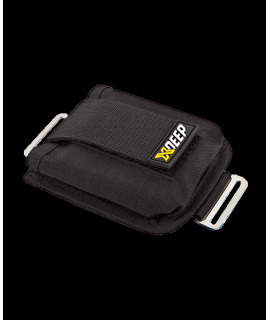 The waist strap is very rigid, and consequently the D-Rings work better and the harness is definitely more stable. The shoulder straps are softer, which makes them more flexible around the shoulders. The crotch strap is very soft to prevent wear through the dry suit. It is a unique solution which perceptibly improves the comfort of the harness user. Regardless of the harness structure, the webbing is the element which wears out the fastest. If we fixed them permanently, then after wearing out, we would have to replace the whole harness. Think about it: would you buy a backplate with the webbing fixed for good? 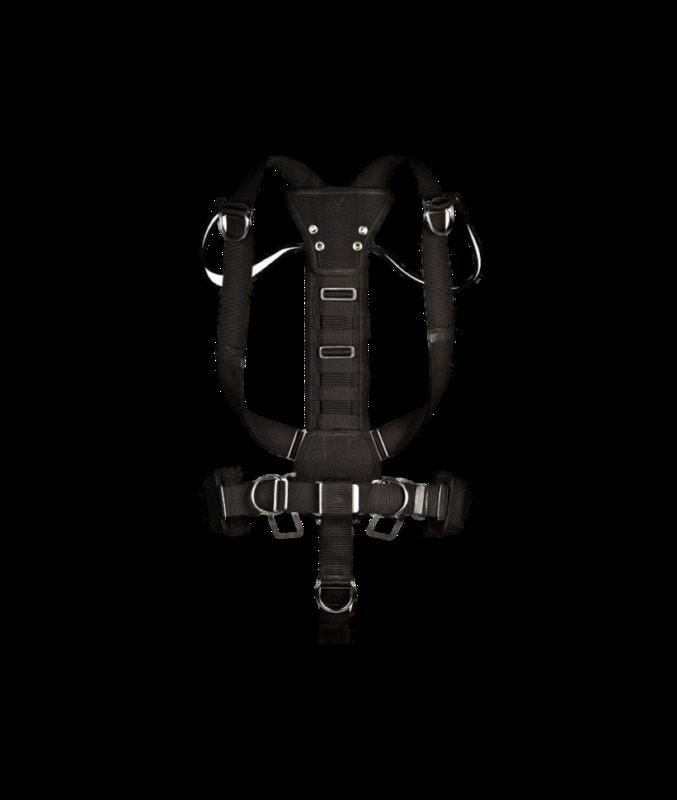 In the STEALTH 2.0 side mount harness you can replace the webbing by yourself since each of the straps is easy to dismount. 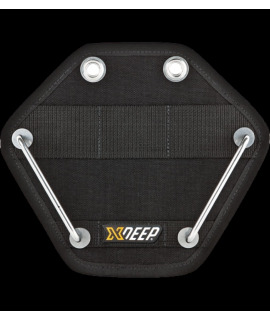 xDEEP Sidemount Pouch TEC (Expandable)The super practical underwater 'toolbox' from xDEEP! 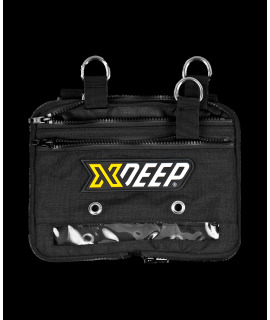 Deep Stop offers since 2001 high quality diving equipment and various complete configurationsto an international clientele. 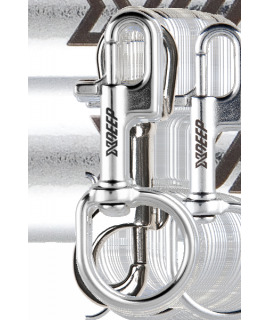 In our Deep Stop Dive Center in Schwetzingen, we offer our product range to approximately 300 square meters also in a real shop. Our dive school offers beginners courses of various associations also GUE courses. Our large workshop offers on almost every conceivable technical service, on site, we fill in all relevant respiratory gases. Well worth a visit, we look forward to see you!